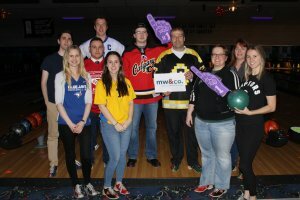 The 35th annual Bowl For Kids’ Sake took over C&D Lanes in Woodstock with Fandemonium! Close to 40 teams came dressed in their favourite sports gear, raising over $25,000 to support the mentoring programs and services offered through Big Brothers Big Sisters even through mother nature gave us not one but two doses of winter weather during our events! Thank you to all of sponsors, donors and participants for continuing to come out and ensure Bowl For Kids Sake is a fun, successful event year after year!